Dubai: Dubai’s Al Mamzar Beach Park has gone smart with a host of first-of-its-kind facilities along with renovated beaches and additional barbecue areas that will make visitors love the popular park more than ever before. 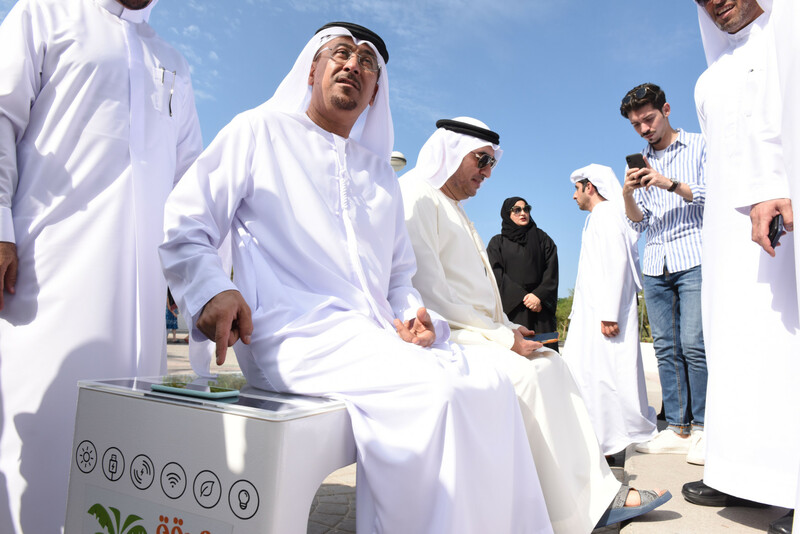 Dubai Municipality on Tuesday revealed the smart transformation of Al Mamzar Park using Artificial Intelligence (AI) and other innovative technologies just ahead of cool climes when thousands of residents set off to enjoy their weekends and leisure time at the popular beach park. Apart from the smart gates using Roads and Transport Authority’s Nol cards to avoid queuing up for tickets, the park now has an exclusive mobile app to facilitate its visitors. Dawood Abdul Rahman Abdullah Al Hajiri, Director General of Dubai Municipality, unveiled the app ‘Al Mamzar Park’ that provides all the details about the park and facilitates booking service for its refurbished chalets, popular among picnickers, and other facilities. Park visitors can use the app to take a virtual tour of the facilities, and book their favourite chalet, grill area, event spaces, and sports areas before heading out there. There is also a new virtual learning centre also in the park. It provides an immersive virtual reality experience of planting vegetables and fruit trees for children. To ensure visitors breathe even cleaner air, the amphitheatre area has been painted with Smart Paint that reduces air pollution by absorbing carbon dioxide. There is more in store for those who love the same old leisure trip sans technological disruption. A renovated BBQ area with 15 additional grills to cater to larger number of visitors and an enhanced beach experience in each of the five beach areas have also been announced. The beaches named Sadaf, Nouras, Flamingo, Danah, and Murjan Beach are now equipped with additional showers, umbrellas, and canteens. The park is now friendlier with the people of determination with more car parking and special paths to ease their access to the beach. Al Hajiri said the municipality will extend the smart facilities to all other major parks in Dubai in phases without increasing the entry fee. The park will also host sports events to encourage physical activities among residents. 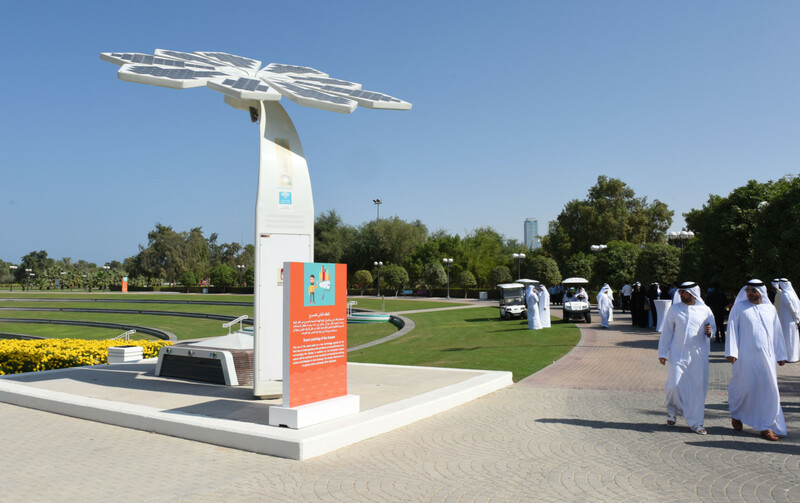 The smart park has been nominated for Hamdan Bin Mohammad Smart Government Programme. 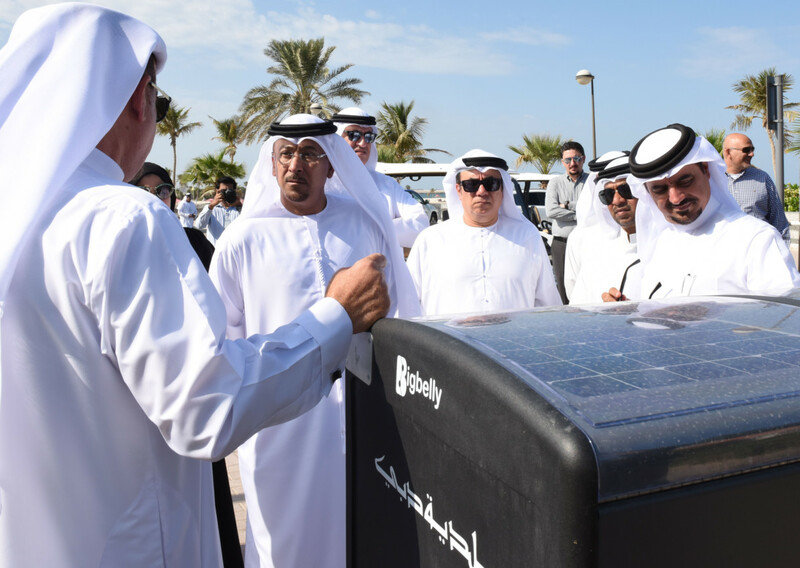 More than 10 solar-powered smart benches will provide free WiFi and wireless charging service for mobile phones. You just have to keep the phone on this smart bench to charge it. No need to use even a USB cable. Smart Palms providing free WiFi and charging station are also already available in the park. 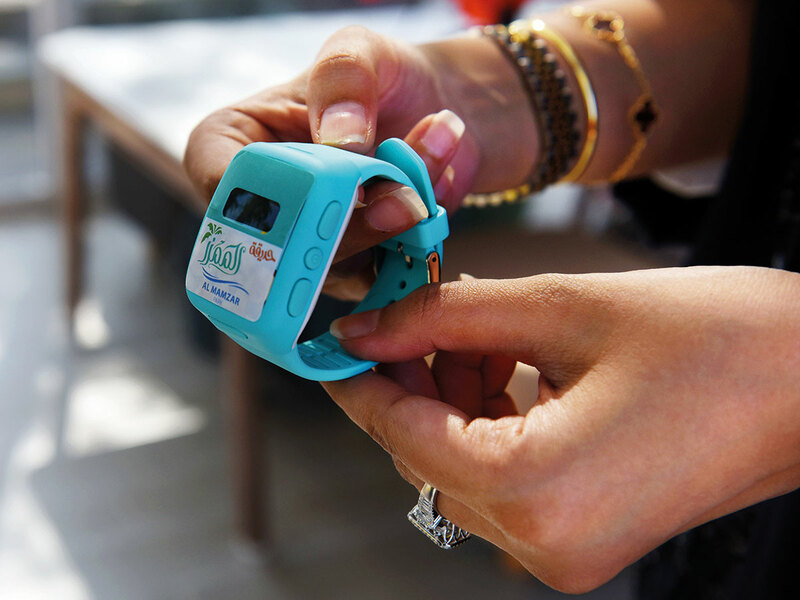 A waterproof smart watch with GPS will be provided to help families track children and people of determination inside the park. Caretakers can pair them with their smartphones and monitor their movement. Caretakers can also call them when needed. 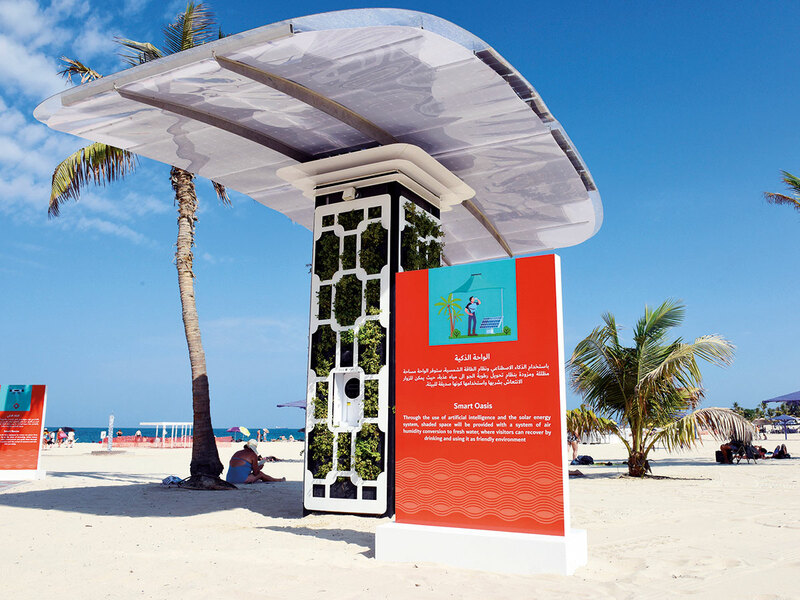 Two Smart Oasis hubs by the beach provide shading and a system to harvest humid air and convert it into drinking water using solar power. The Smart Oasis can produce 90 litres of drinking water every day. It also provides a charging area for smartphones and a cooling system using spray technology. 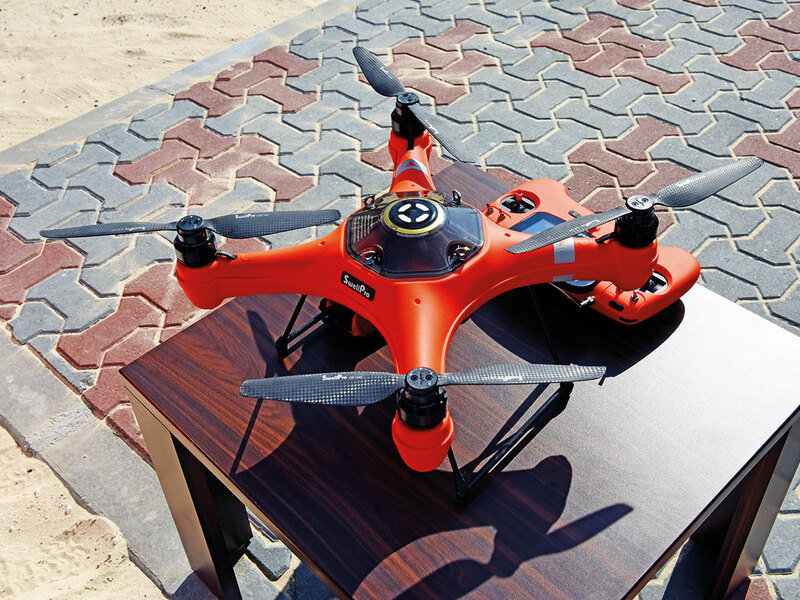 A smart scanning service using drones is being employed to monitor the plants and trees. Plant classification and detection of diseases will be done using aerial imagery analysis, thermal maps and carbon emission ratios. Smart containers named “Big Belly” send out alerts when it is time to clear up the rubbish. The municipality has recently launched a smart rescue system using drones that dispatch lifebuoy rings to rescue swimmers from drowning.